Have you ever given mirrors to young children? Do this and observe without judgment. What you will notice is one of the purest forms of first hand, primary source research. You will witness curious faces test an array of poses. The mirror wants to play and so the children feel free to play too. Eyes widen and squint, lips pucker, noses twitch and tongues make a cameo each time without fail. Children are exploring how they can manipulate their facial expressions to communicate a feeling, a story, or a silly statement. While studying the self-portrait with Mrs. Desai and Ms. 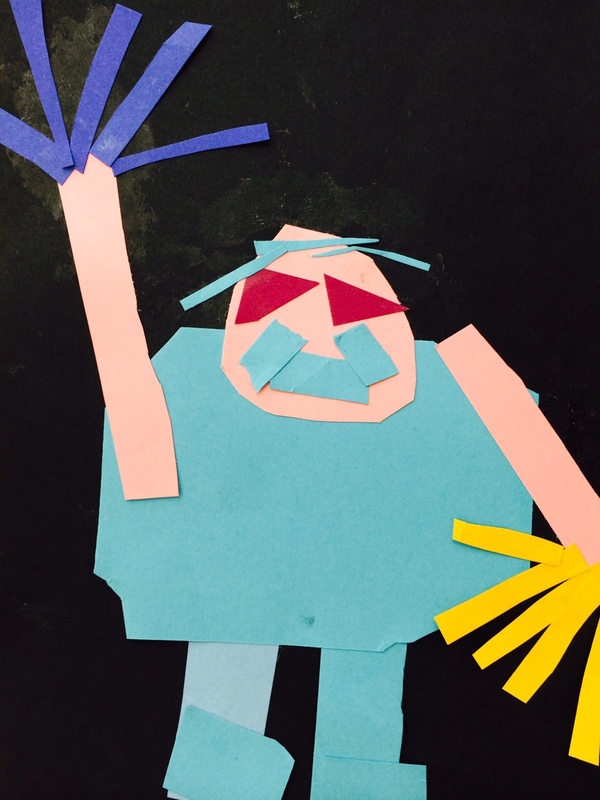 Bode's third grade artists, I offered mirrors before paper and pencil and asked them to study their face for a while. After two or three minutes, I chimed in with some requests: "What do you notice about the shape of your head?" "How far are your eyes from your forehead?" "Do you have bangs? And if so, do they fall straight or swoop to one side?" Notice your eyes. "How far apart are they? Does your eyelid overlap your iris?" We can go on with a list of questions to help them notice the small yet important details of their face. 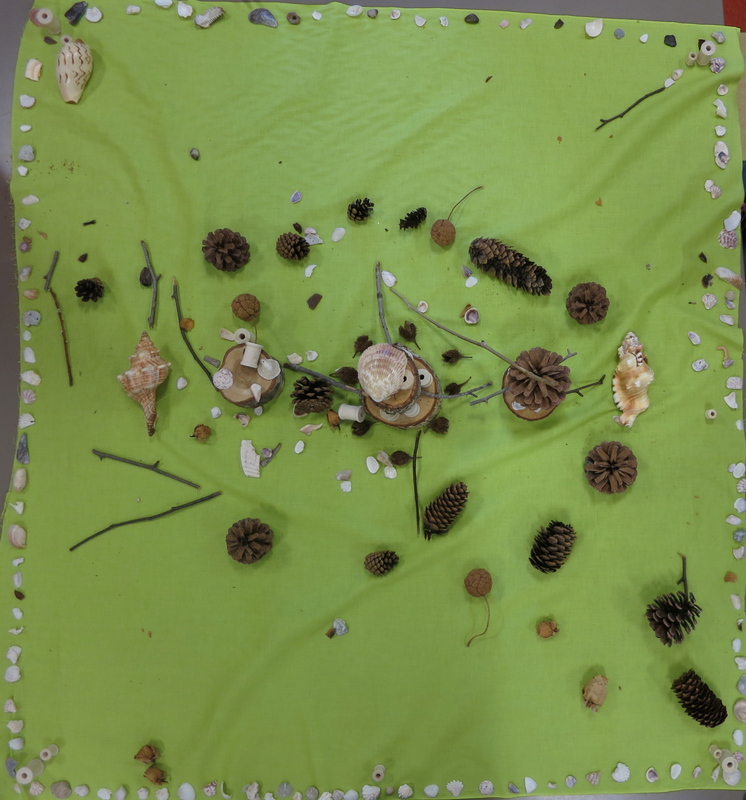 This observational art activity centered around mindfulness allowed each student to collect visual data at their own pace. Offering this 5 minute block of time to simply explore, notice patterns and make observations had a noticeable impact on their drawings. They trusted the mirror and used it more frequently to check for visual information because, The Mirror Doesn't Lie. Before being introduced to the mirror, we exercised our brain with blind contour drawing. Blind contour asks the artist to refrain from looking at their paper while they draw. There eyes must focus on the object or person they are observing and let their hand travel across the page. It is not an easy task. Your brain is used to having control over your hand, telling it what to do. During a blind contour drawing, you must quiet your controlling brain and TRUST YOUR HANDS. Here is what the children have to say about practicing blind contour and its benefits. Try it sometime. It is a thrill. You will realize how focused we are on how are art LOOKS. We wish to make it look the way we think it should. Remember, this is an exercise focused around process. The goal is to quiet your controlling mind and let your hands record the information, first hand (pun intended). After our blind contour exercise, we took part in the observational mindfulness activity that I spoke of at the beginning of this post. I had shared that this activity of simply looking first before being given a pencil had a strong impact on the attentiveness of the children. Here are two more examples below. 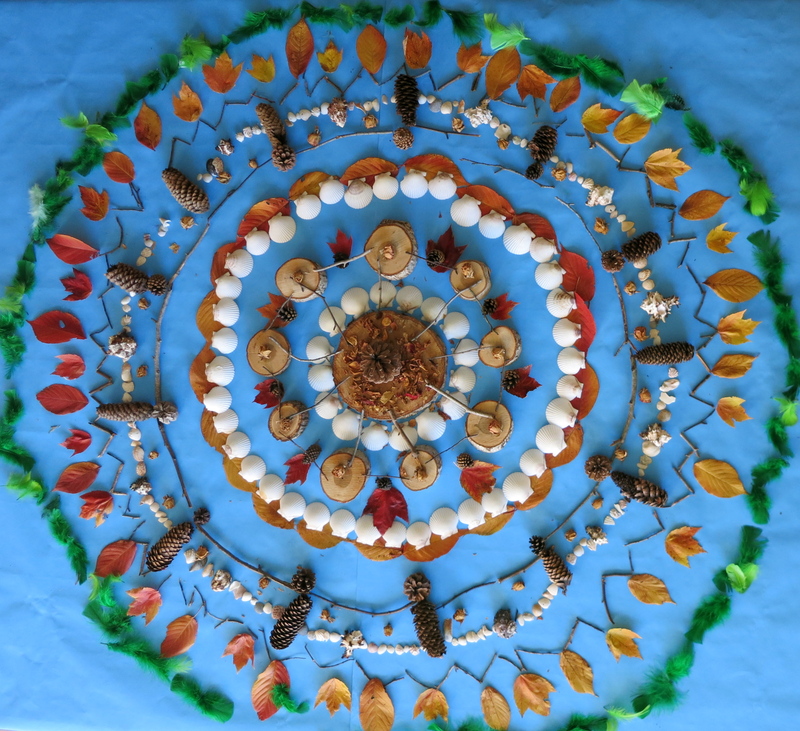 Visit the Lower School Lobby to see the entire exhibition. Thinking back on my role as the facilitator, I was involved in a listening activity. My task: listening with my eyes and ears and and using data to make meaningful decisions. No more instructing on how to use this tool, rather listening to how it was being used. Honor. Assume the good in everyone. 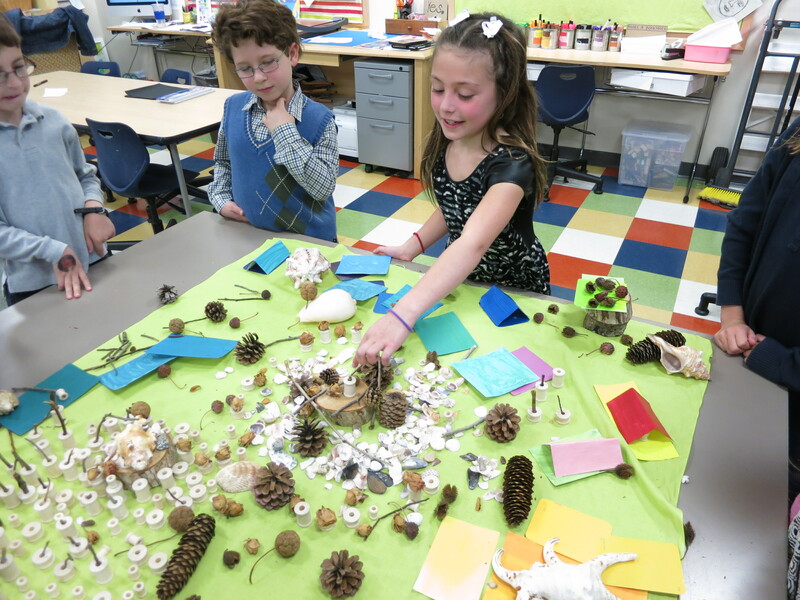 What creative knowledge does each child hold? What can they teach me so I can, in turn, support them better? For me, it was no more of "draw an oval, now draw your eyes near the middle of your oval, now draw two lines for the bridge of your nose". To truly honor their knowledge, we need to instead ask them "What do you notice?" "How would you describe the space in between your eyes?". Offering the questions up to a group rather than giving out information allows them to process what they see and make related decisions. Do we wish that all products look the same? product tells us about how they view the world? How do you honor your children and students? What valuable lessons have they taught you? Artist Georgia O'Keefe once said "Nobody sees a flower really; it is so small. We haven't time, and to see takes time - like to have a friend takes time." Her most famous works are large scale flower portraits. Georgia zoomed in on each flower and illustrated their form to help us witness the fine detail and beauty in this tiny living thing. 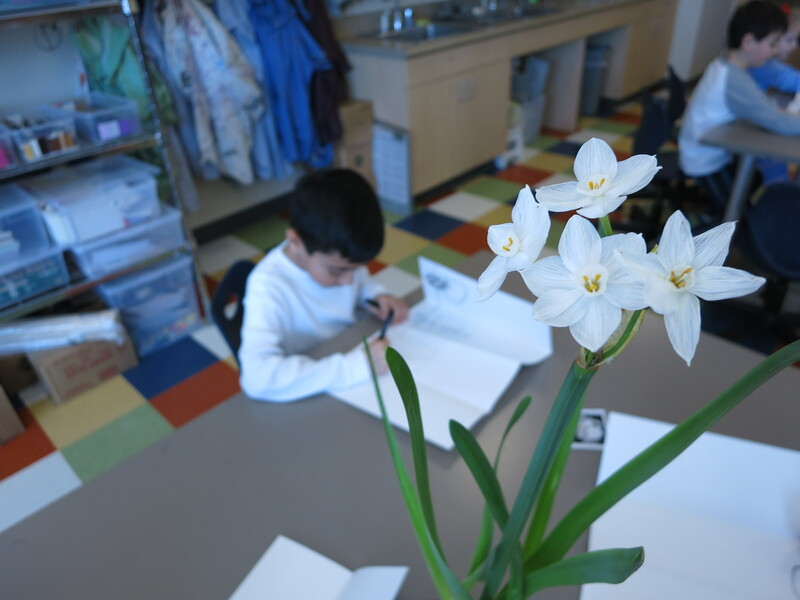 While observing the life of a paperwhite for a three week period of time, first graders documented the growth through time-lapse photography in their classroom as well as observational drawing in the art studio. 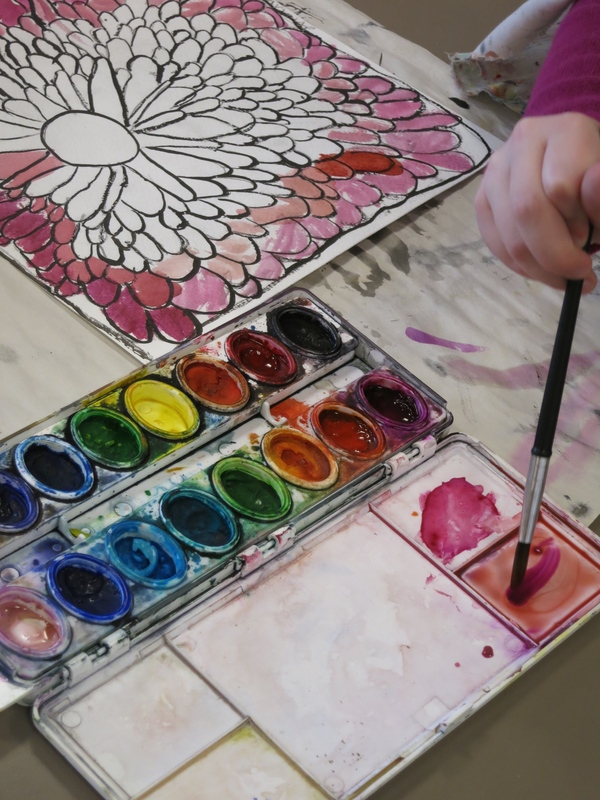 Students looked closely and created a contour line drawing each week for three weeks in an accordion-style book and wrote about their observations. 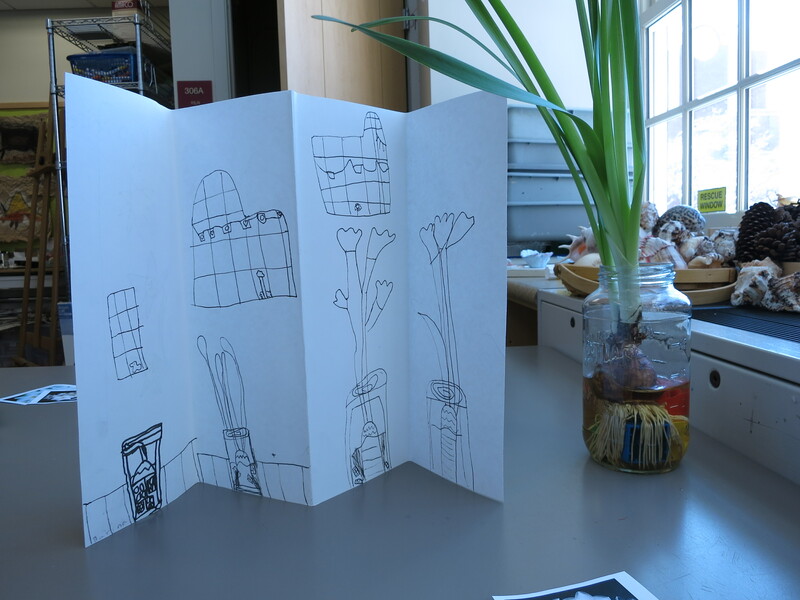 We were careful to place the table line and jar in the same place on each page so that the viewer had context of size and growth from a baby bulb to a 2. 5 foot tall blossom (yes, we are scientists and recorded measurements too). Enter IMAGINATION. We observed Georgia's flower portraits and noted on her zoomed-in approach. 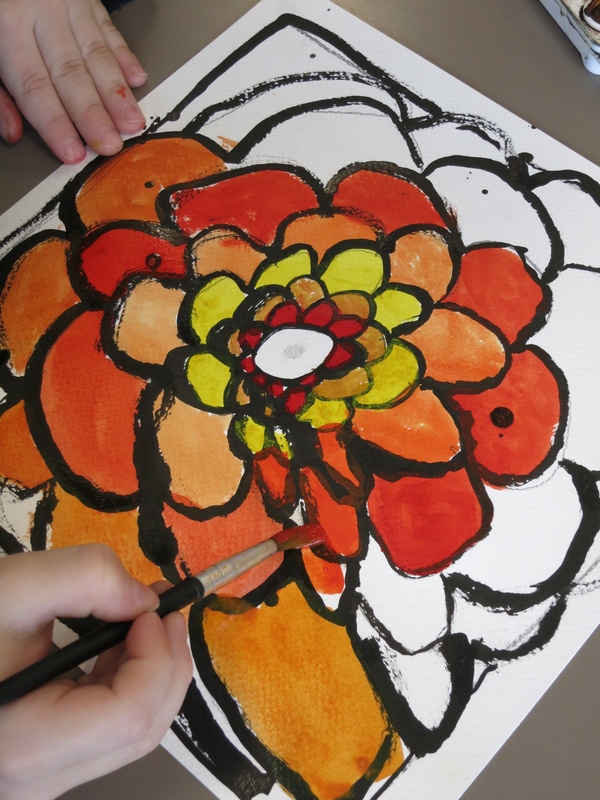 Using our knowledge of flower petals and our imagination, we developed our own petal and created a personal flower portrait that illustrated our understanding of cropping and zooming in. 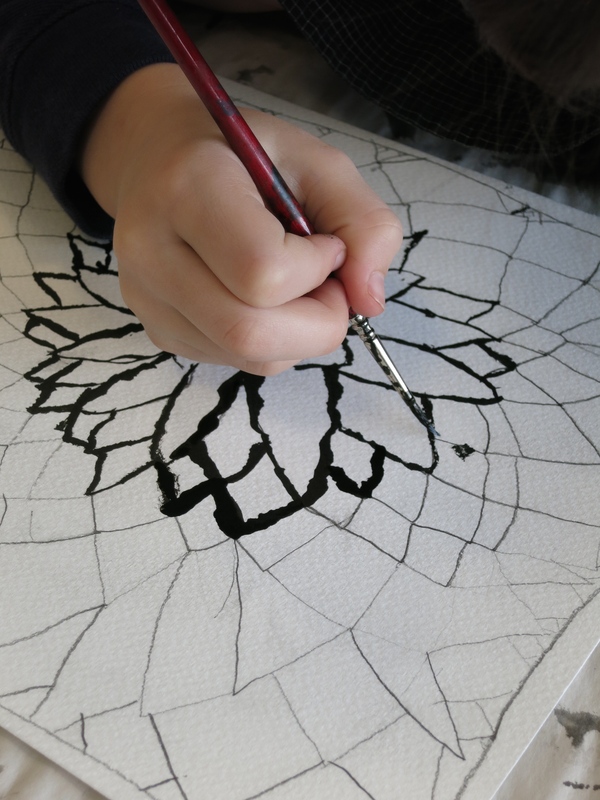 We used ink to make our drawing more defined. We work slow and practice mindfulness when using this permanent material. We noticed how Georgia had knowledge of warm and cool color families. 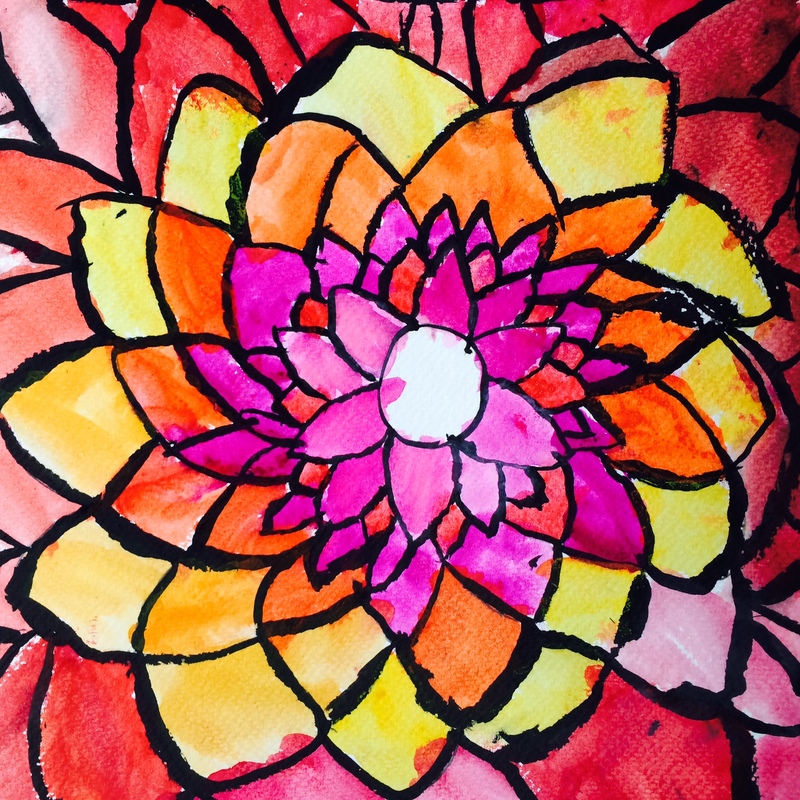 We choose one family to incorporate into our petal spaces and our blossom was born. We explored mixing the colors that Crayola manufactured for us to invent our own warm and cool creations. If we didn't like a shade, we changed it. We practice perseverance. We take pride in our creations. The next time you spot a blossom, prove Georgia wrong and STOP and see the flower. Feel it, smell it. Savor it. Life is beautiful. This time of year many celebrate Diwali, the Hindu New Year. Mrs. Desai gave a meaningful presentation to our lower school this past week during Gathering and we learned that Rangoli is made and placed at your doorstep to greet and welcome visitors to your home. 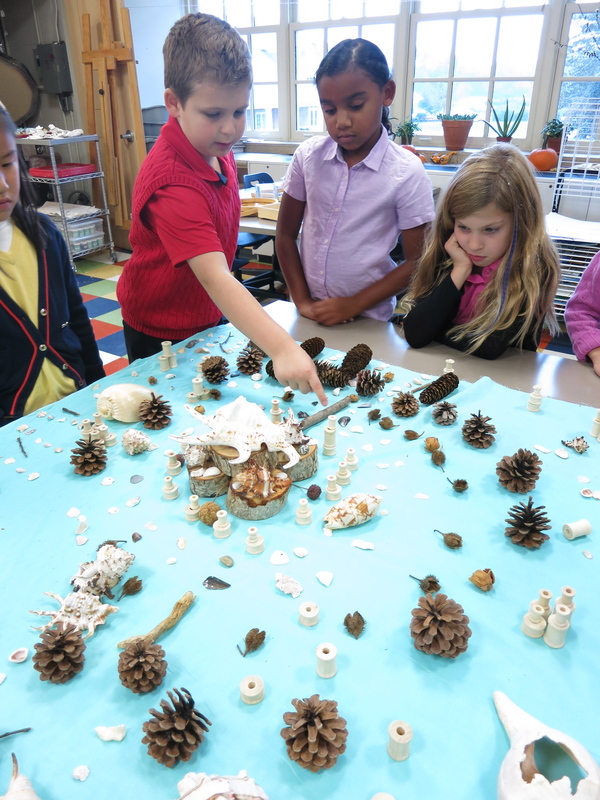 Students worked collaboratively to construct their designs in small groups. We discussed the Quaker Decision-Making Process and were reminded that EVERYONE has a voice and that it is our role to make sure we all have the opportunity to share our ideas. We discussed how the group is stronger than the individual and that communicating with each other will help the art making experience to be productive and positive for all involved. In the midst of it all I heard Hayden share this anecdote: "We all work together on it and that's the best part." Offering children an actual shape to hold in their hand, manipulate and feel, offers them the kinesthetic experience that we all need to build new knowledge. Hearing the idea is one thing, but experiencing it with our own hands makes it real. 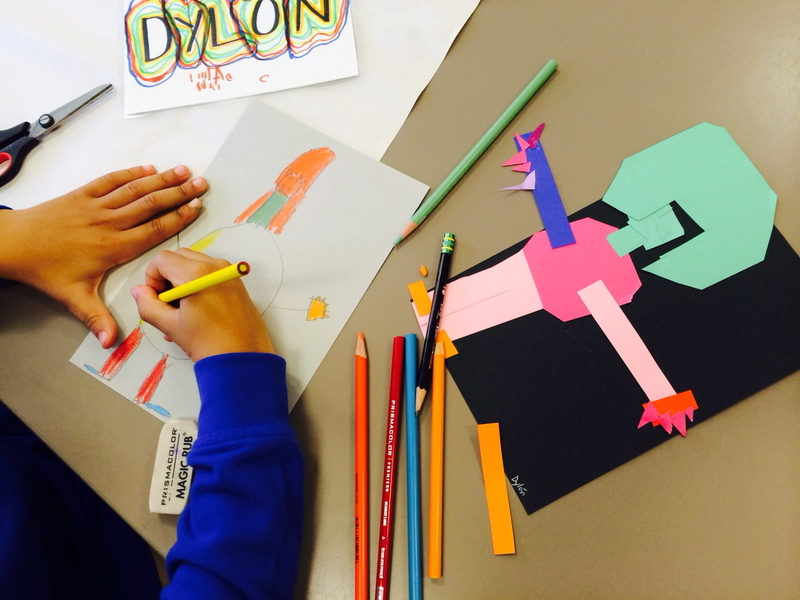 Furthermore, the act of holding the shape while working in collage helps them to "see" where the shape ends and begins. We feel its corners and sides and the shape is distinctly defined for us. Shapes are all around us. 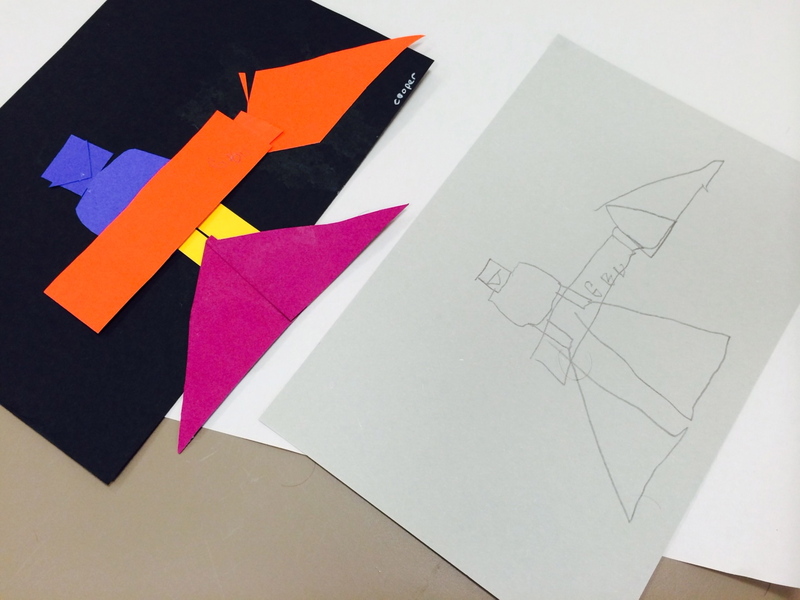 Take a walk outside and embark on a shape scavenger hunt. See what you find and notice how your mind opens up to new discoveries. You may even "see" something in a way. What are you doing next Thursday? That's right! 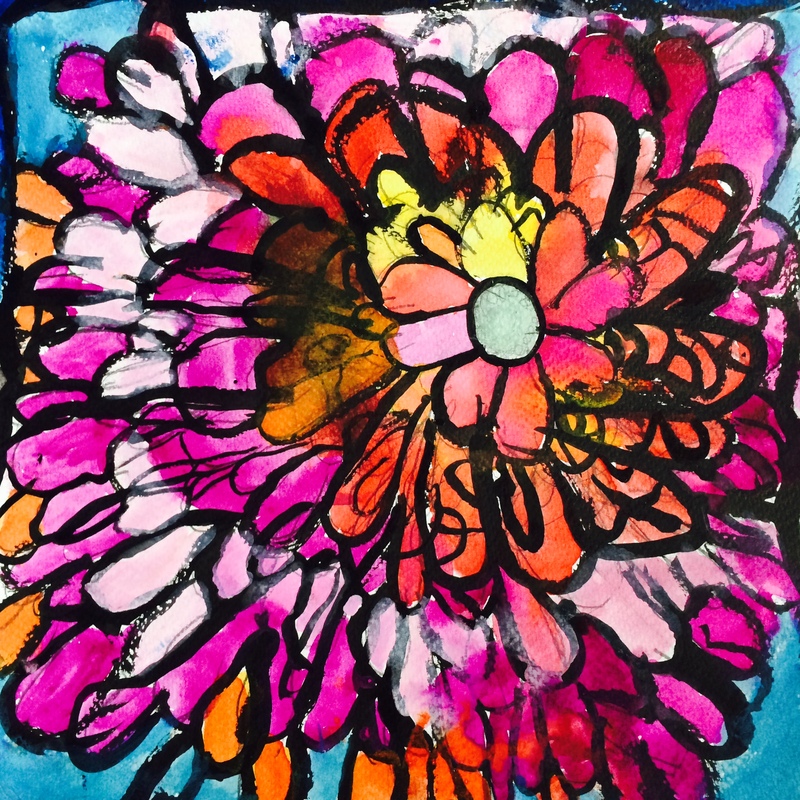 We will see you at the 2014 Lower School Art Exhbition. 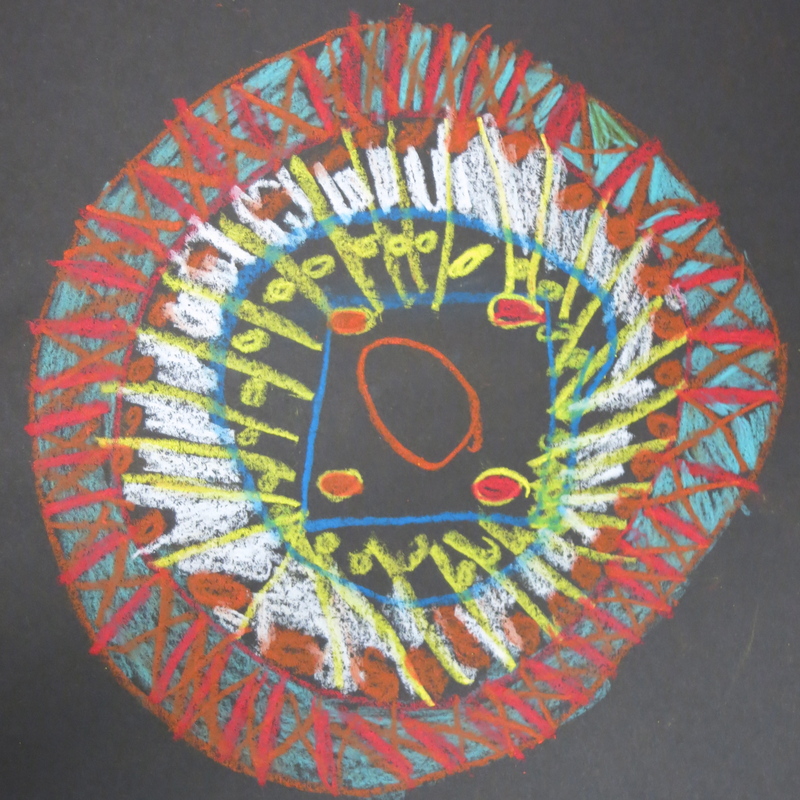 Come and view a selection of original works of art created by artists in Early Childhood through grade 5. 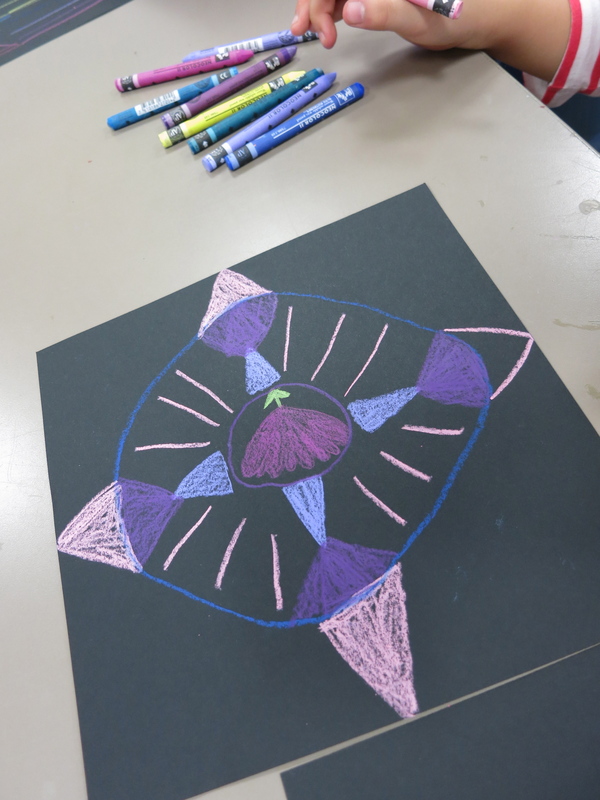 While learning about Ancient Greece, third grade artists embarked on a journey to develop thier skills in drawing people through a study of Greek figurative sculpture. 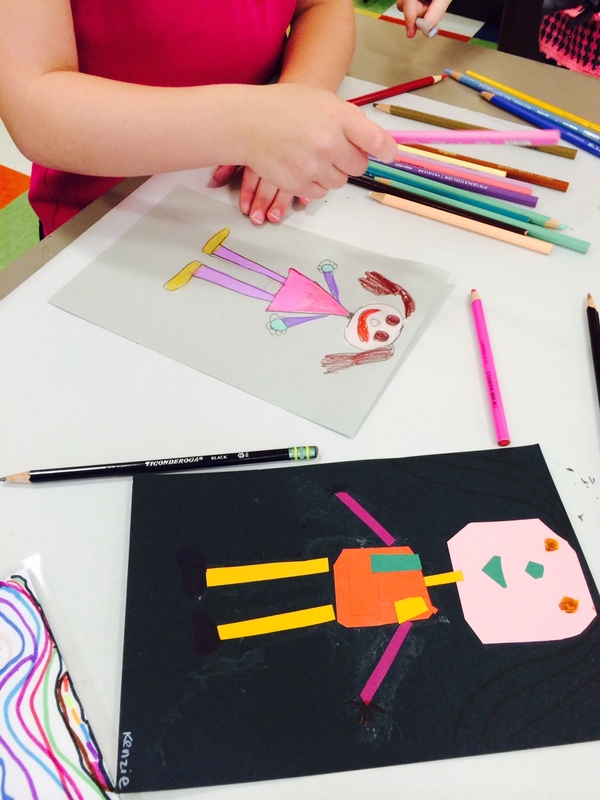 Learning to draw the human body begins with an understanding of all of our appendages and how they connect and relate to our body as a whole. 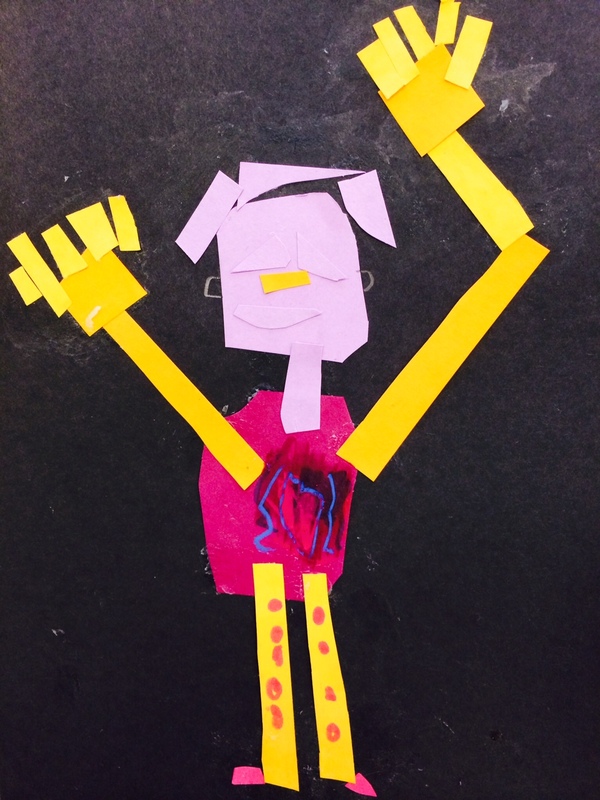 Through gesture drawing, students begin to understand how every little diagonal, vertical or horizontal line helps to illustrate how our body bends and moves to tell a visual story. Loosely drawn ovals and circles depict our appendages in a way that is quick and focused only on the movement or gesture of a pose. 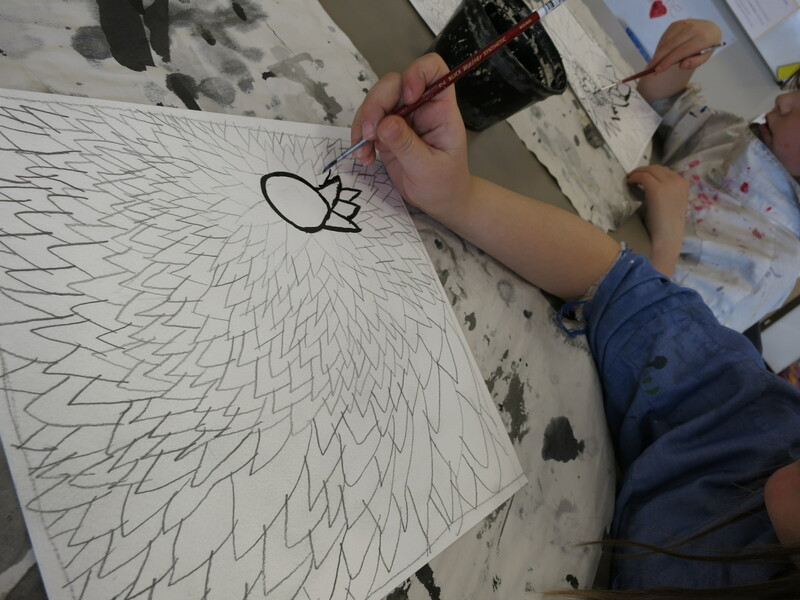 After having a foundation in gesture drawing, third graders visited the US Art Studio and teamed up with Ms. Doherty's Drawing 1 class to explore gesture and movement on a mural-sized scale. 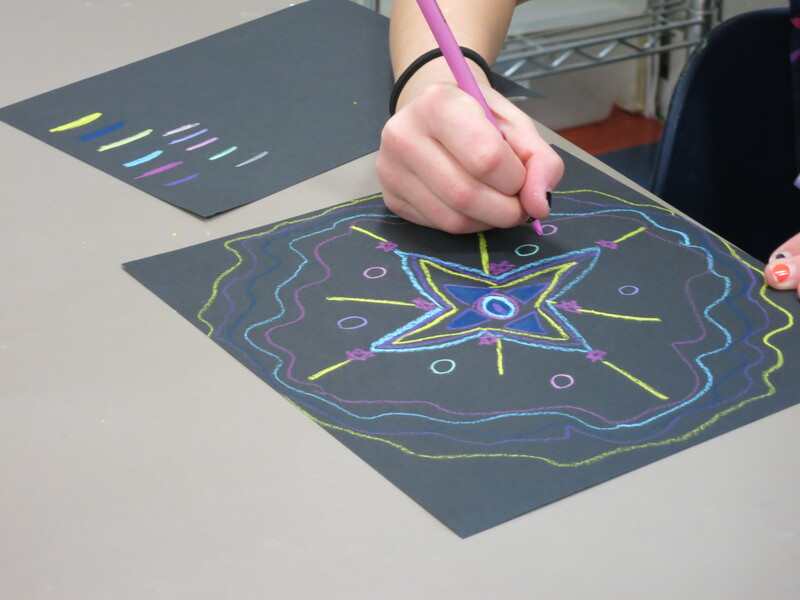 Various colored pastels and multiple layers allowed students to see how repetition and composition can work together and illustrate time and movement in a 2-D setting. So WHY are we learning about Gesture Drawing? How can I build a human figure that is able to stand on its own? 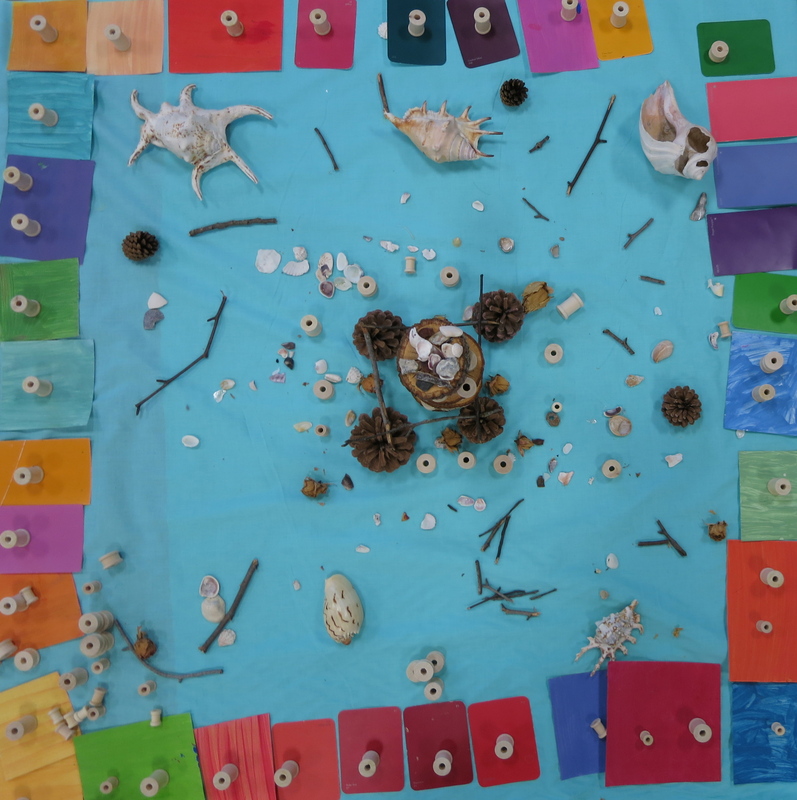 Come join us for our PreK-5th Grade Art Show to view our discoveries and final clay scultpures!